We know healthy eating plays an important role in meeting long-term health goals, but with so many other things on our plate it can be easy to put our nutrition goals on the back burner and opt to grab a meal out or run through a drive-thru. Although it takes a little time upfront, meal planning and preparation saves you time and money in the long run while helping you stick to your goals! 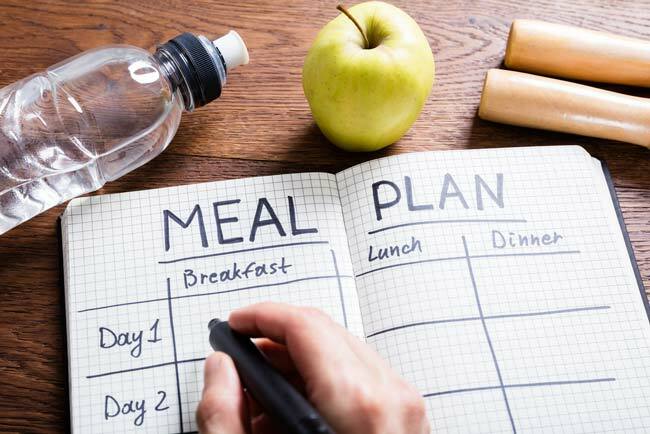 Here are 10 quick and easy tips for planning healthy meals. Compile a list of 10-20 meals that are household favorites. These should be easy go-to recipes that don’t require too many ingredients and are quick to make on busy weeknights. Plan your menu for the week and coordinate with what is on your calendar. If you know you have a busy night where you don’t get home until late, plan to have leftovers or put something in the slow cooker in the morning so it’s ready when you get home. To get started, organize your pantry, refrigerator, and freezer and take inventory. Plan meals around what you already have on hand to prevent waste and save money on food costs. Studies show individuals who make a grocery list are more likely to stick to the list. Plan your grocery day on the same day each week so it becomes more routine. Make things easier by making a double batch of favorite meals and freeze half. Cooked chicken, chili, and soups store well in the freezer. Plan out your breakfast and lunch meals for the week. When you plan for success you will be less likely to end up running through a drive-thru or skipping a meal. Utilize leftovers from dinner for lunch the next day, or switch it up by adding leftover protein to a salad. If you have extra time wash and prep your vegetables for the week so you can easily throw your meals together. Get your meal together in a freezer bag so you can just dump the ingredients in the slow cooker in the morning and set the timer. Or, roast a chicken on the weekend and you have chicken ready to throw on a salad or used for sandwiches the next week. The more you can do ahead of time the less work you will have during the week. Setting aside time for meal planning and prep for the next week can save you not only time but money in the long run. If a weekly meal plan went really well, save that menu to incorporate in another week. 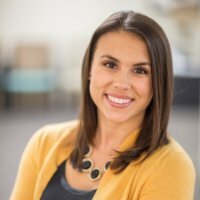 Aimee Dyess is a Registered Dietitian specializing in weight management and diabetes management at The Erlanger Metabolic and Bariatric Center. If you are interested in exploring options for weight loss, learn more here or call (423) 778-2906 to sign up for a free informational seminar or webinar.